(Pictured top row from left; Constable Brennan Willenborg – Peace Regional RCMP, Karrie Kennedy – Velocity Group, Senior Design Drafting Technologist, Karissa Chowdhury – Addiction Counsellor, Julie Boucher – Addiction Counsellor, Arsalan Hamidi – AHS Addiction and Mental Health Area Manager, Shelly Sorensen – Peace River and District Chamber of Commerce, Trevor Lusby – Addiction Counsellor, and Tyne Lunn – AHS EMS Advanced Care Paramedic. 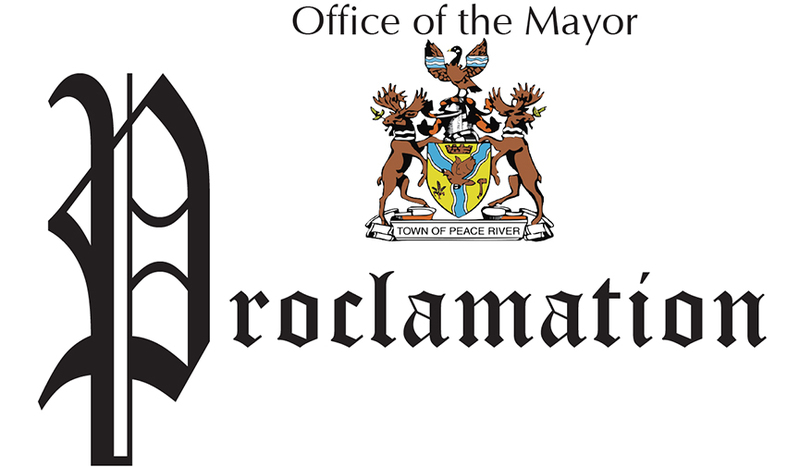 That the Mayor and Council of the Town of Peace River hereby proclaim the third week of November 2017 as “National Addictions Awareness Week,” in the Town of Peace River. If you are struggling with an addiction you are not alone and you are not without supports. 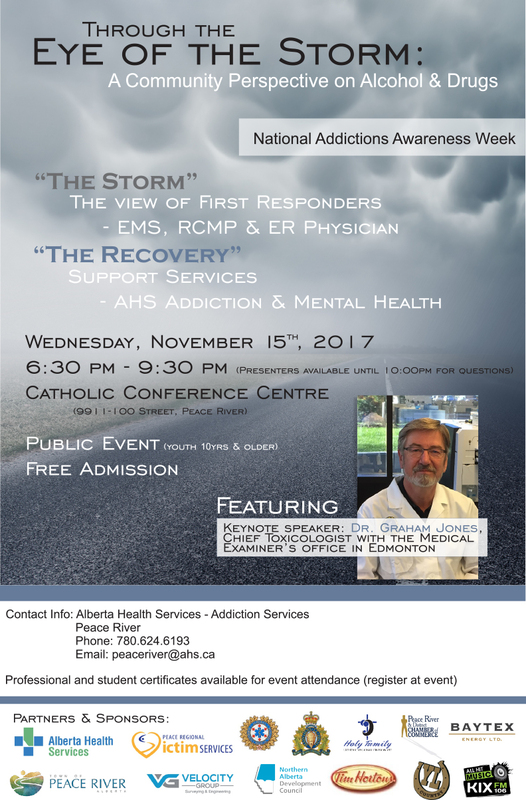 Likewise, if someone you love or care about is suffering Alberta Health Services Addictions office in Peace River can help provide the support needed. It all starts with you reaching out. Community counselling services are available to individuals, family members and others (adults or youth) seeking help in overcoming problems associated with alcohol, other drugs or gambling. Clients participate in an assessment that examines how substance abuse or gambling affects their lives. This information assists in identifying the most appropriate treatment. The counsellor and client design a personal treatment plan for continuing care and follow-up. Referrals can be made to detoxification programs and residential addiction treatment where appropriate. Outpatient services are confidential and free of charge, and admission is voluntary. Closed for lunch from 12:00-1:00 pm.